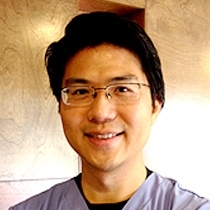 David TJ Lin is a licensed acupuncturist and auricular specialist as well as a graduate of Bastyr University, one of the most prestigious colleges of complementary medicine in the U.S. In order to deepen his understanding of Oriental medicine, David traveled to his birthplace in Taiwan to study ancient Taoist teachings with well-known scholar Chong-He Wang. What he learned enabled him to better analyze his patients’ constitutions in order to properly diagnose their conditions and provide the most comprehensive holistic treatments—insight he offers his patients in Bellevue, Wash. today. David has been certified in Advanced TCM Therapeutic Tui Na by the Taiwan Chiropractic Association. He specializes in pain management, sleep disorders, emotional imbalances, fertility and postpartum support.